Cutting width of mower: 60 in. 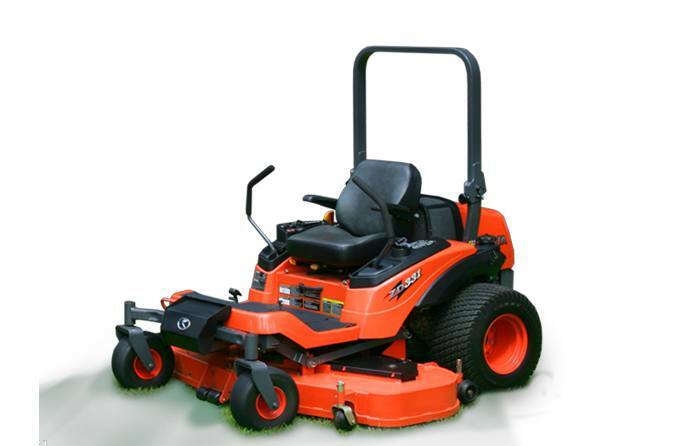 Comfortable and Easy Operation: Full-flat operator platform; Adjustable, high-back deluxe suspension seat with armrests, lumbar support, weight adjustment and more for a custom fit; 1/4" increment cutting height adjustment with the simple twist of a dial; Adjustable speed control levers; Hands-free parking brake; Large, 12.9 gal fuel tank for more efficient working. 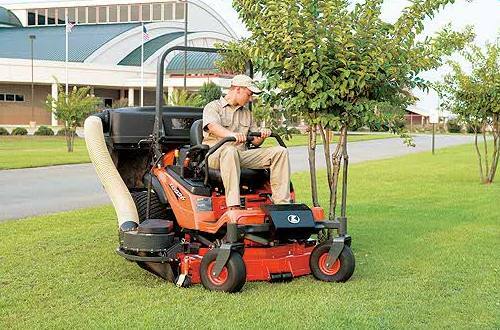 Easy Maintenance: Maintenance has never been so easy. For interior maintenance, the sturdy seat panel is simply lifted up for clear access and an unobstructed view. 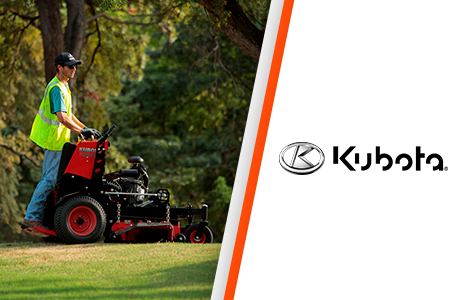 By opening the hood, it's easy to perform routine maintenance - like adding oil - in mere seconds. 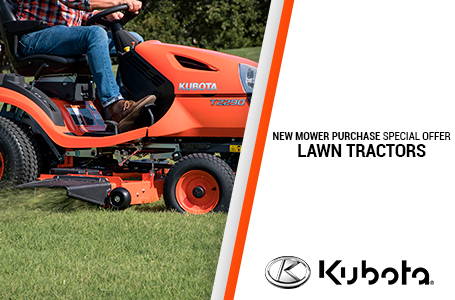 Plus, there's a maintenance hatch on the full-flat platform, with a built-in storage pocket for easy access to the upper mower, gearbox case and universal joint parts. 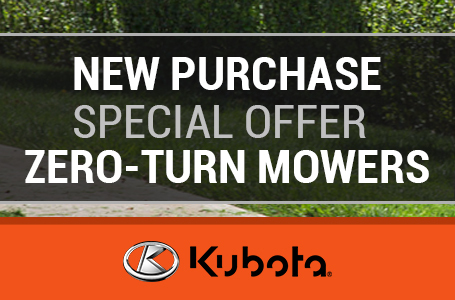 Kubota's innovative two-pin, tilt-up, maintenance lift feature* allows the front of the ZG300 Series to be easily raised without having to remove the mid-mount mower, making routine maintenance underneath the mower quick and simple. It's like having a built-in jack right there when you need it. 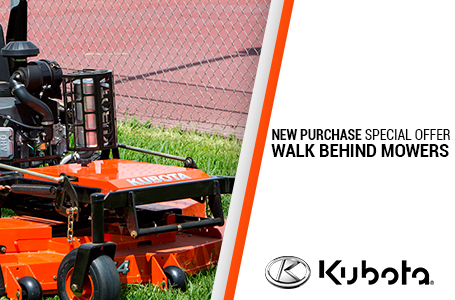 *Stand type maintenance lift kit is optional on ZG327. 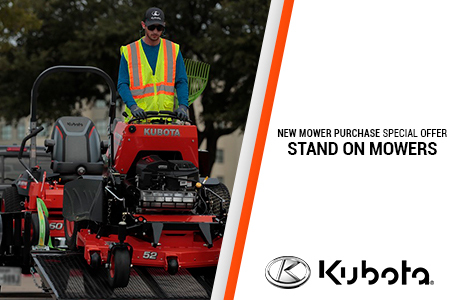 Hands-Free Hydraulic Lift: Kubota's advanced hydraulic deck lift pedal system allows the operator to easily raise and lower the deck with foot pedals, so easy access and quick response is never a problem. 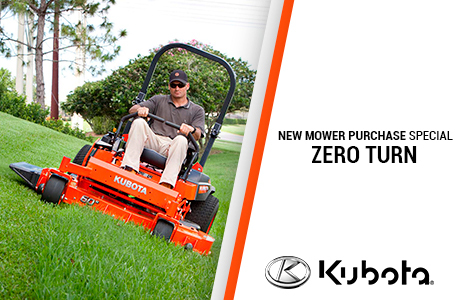 Front Axle: The ZG300 Series features a rigid front axle helps deliver an even cut while mowing rough terrain.